A young woman helping LGBT people escape homophobic and transphobic countries says her idols are those she helps rescue. As this question played persistently like background music in my head, I absentmindedly opened my inbox. To my surprise, an email from an LGBTQ asylum-seeker requesting assistance stared back at me. He asked questions, but he also answered mine. Tom* is a hopeful LGBTQ asylum-seeker from Jamaica. In Jamaica, sexual activity between men is punishable by up to 10 years of imprisonment and hard labor. 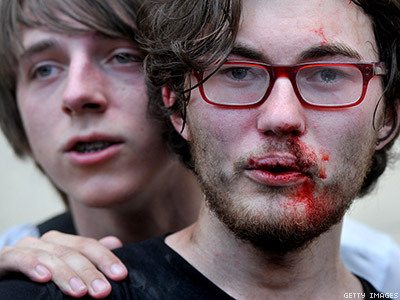 Openly gay people are ostracized, beaten, and even murdered. For Tom, coming out would most likely be met with ridicule and death threats — not words of encouragement and support. Last August, Tom bravely resigned from his job to seek political asylum in the U.S. Unfortunately, the people in America who had promised to help Tom now attempted to prey on his vulnerability. Consequently, his first trip to the U.S. was stained with unwanted sexual advances and domestic violence. Out of options and facing homelessness, Tom was forced to return to Jamaica. Despite these setbacks, Tom continues to refuse to fall victim to a country that will not accept him for who he is. He remains determined to sever ties with his present reality that is “complete loneliness and isolation.” To this end, Tom plans to make his second journey to the U.S. later this year, in pursuit of a long overdue new beginning. I am not a “gay hero.” Rather, I hope to be an advocate for “gay heroes” like Tom — those who courageously leave everything behind in pursuit of an authentic life. Facing discrimination and their own mortality, LGBTQ asylum-seekers act with resilience, conviction and bravery. They act with heroism. 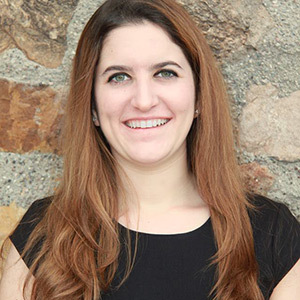 KATHARINE SGARRO is a recent graduate of the University of Pennsylvania, and a candidate for the Master of Health Administration at the Johns Hopkins Bloomberg School of Public Health. She is the cofounder and codirector of AsylumConnect, a nonprofit initiative that provides lifesaving online informational resources to LGBTQ asylum-seekers in the U.S.
*"Tom" is a psuedonym, as the asylum-seeker's name has been changed for his safety.